This is happening in oil fields from North Dakota down to Texas. HELMS: “You'll see close to 200 frack crew jobs listed for North Dakota,"
North Dakota Mineral Resources Director, Lynn Helms at a press conference last month. HELMS: "The rigs are outrunning the frack crews." With the help of a few more delegates from a handful of states, including North Dakota, Donald Trump finally gathered enough to clinch the Republican nomination. 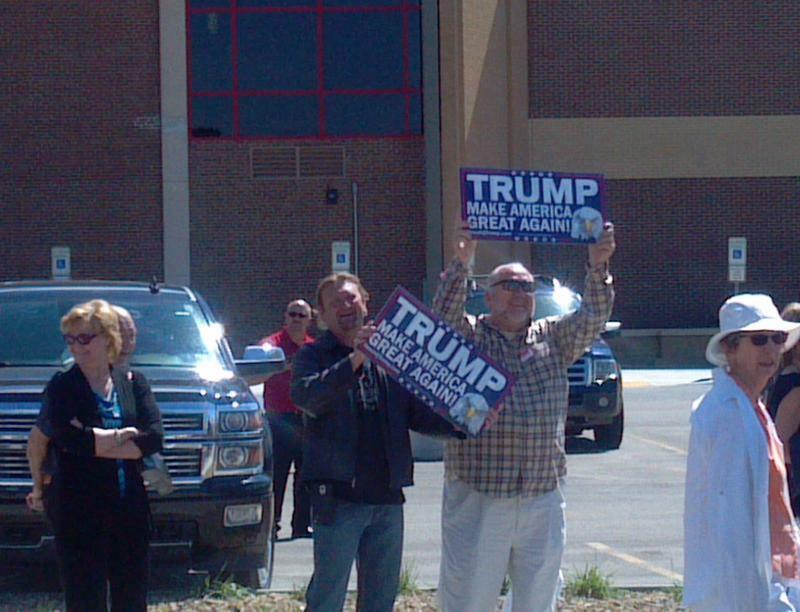 And with that news, the official Republican Presidential nominee rolled into Bismarck Thursday. Inside Energy’s Leigh Paterson has this report. Trump addressed the Williston Basin Petroleum Conference for nearly an hour, laying out his thoughts on the future of U.S. energy. He came out strong. When it comes to energy, presidential candidate Donald Trump has left a lot to the imagination. 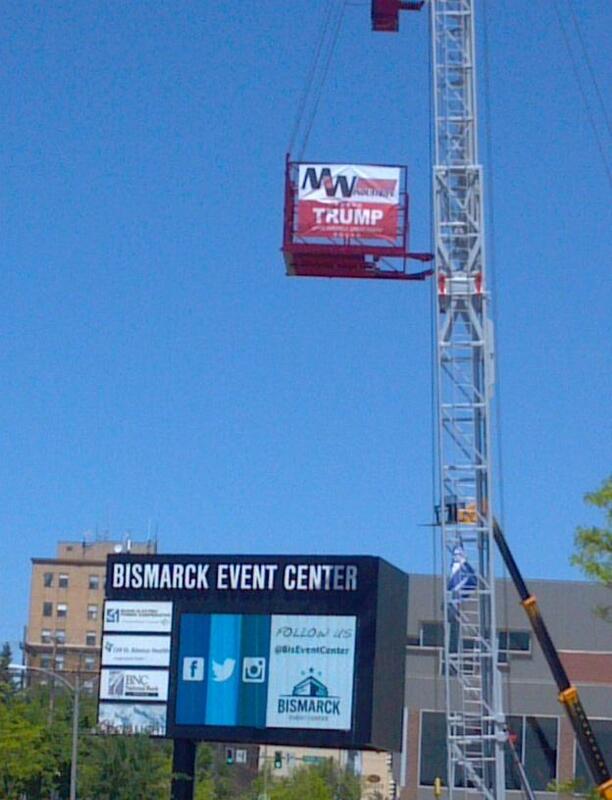 But today he’s traveling to Bismarck to address energy industry professionals from all across the country. North Dakota is the second largest oil producing state in the U.S (TK). There’s many issues troubling the industry right now, from low energy prices to new federal regulations. Inside Energy’s Leigh Paterson reports. Outside the Williston Basin Petroleum Conference in Bismarck, a table is covered in swag. A proposal to define who can and cannot comment during oil and gas hearings is coming under fire. As Prairie Public's Emily Guerin reports, some worry the change would limit public involvement in oil and gas development. Dustin Bergsing was a young, fit, bull rider from Montana. On a cold night in January 2012, he climbed to the catwalk on top of a 20 foot tall crude oil storage tank that was located on an oil well pad in North Dakota’s Bakken oilfield. His job was to pop open the small hatch on top and drop a rope inside to measure the level of oil. Just after midnight, he was found dead by a co-worker, slumped on the catwalk. Want to take a deep dive into what's happening in the oilfield and while listening to Jackson Browne? Then the monthly oil and gas production meetings at the North Dakota Department of Mineral Resources are for you. They're called the "Director's Cut." The "Director" is Lynn Helms, head of the DMR. Every month, Helms unveils a series of indicators that paint a picture of the overall health of the oilfield. And January's numbers weren't so good. I've picked five of them that tell the story of what's happening in the oilfield. 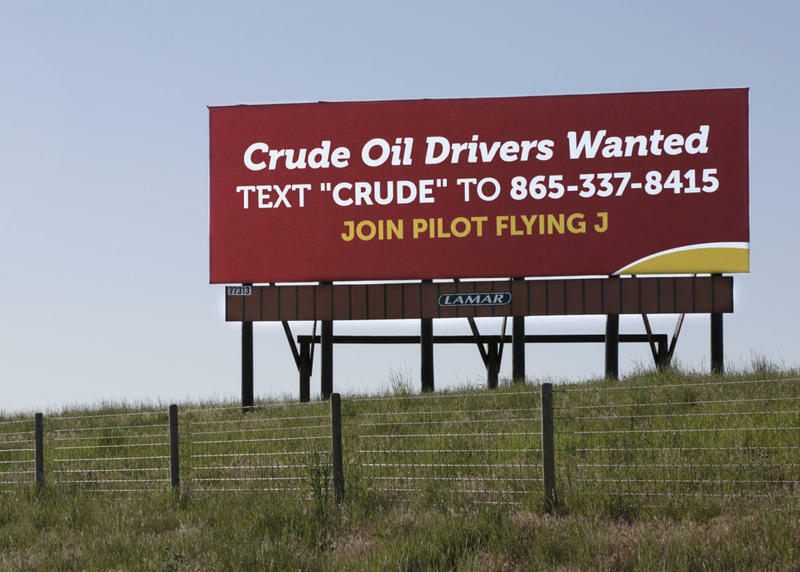 When Inside Energy reporter Emily Guerin moved to North Dakota to cover the Bakken oil boom in June 2014, oil prices were over $100 a barrel. Since then, prices have plummeted to below $40 (update this on the day of by checking WTI price here: http://www.bloomberg.com/energy) And instead of covering a boom, she's found herself covering a bust. Along the way, she's received some unexpected personal finance advice. 2015 was a year marked by a dramatic reversal of fortune in the oil industry. Crude oil prices dropped down to a third of their 2014 highs, effectively pouring ice water on America’s shale revolution. Our Inside Energy reporter Dan Boyce takes a look back. To understand what many oil companies have been going through in the last year we need to enter a dark forest filled with hedges, zombies and strippers. To explain, I visit Steve Trammel.